Dannii Yeung is an associate professor of psychology in the Department of Social and Behavioural Sciences at City University of Hong Kong. Her research focuses on aging and work (with emphases on emotional well-being of middle-aged workers) and psychological adjustment to retirement. 4) Age discrimination in the workplace. 2017 “Outstanding Supervisor Award” City University of Hong Kong. 2016 “GSA Fellow” The Gerontological Society of America (Behavioral and Social Sciences Section). 2016 “Highly Commended Paper” International Journal of Conflict Management, Emerald Literati Network Award. 2009 “Cadenza Fellow” A Jockey Club Initiative for Seniors, The Hong Kong Jockey Club Charity Trust. 2007 “Fulbright Junior Visiting Scholar” The Research Grants Council and the US Consulate. The visit was carried out between Aug 2007 and Feb 2008 in the Department of Psychology at Stanford University, USA. 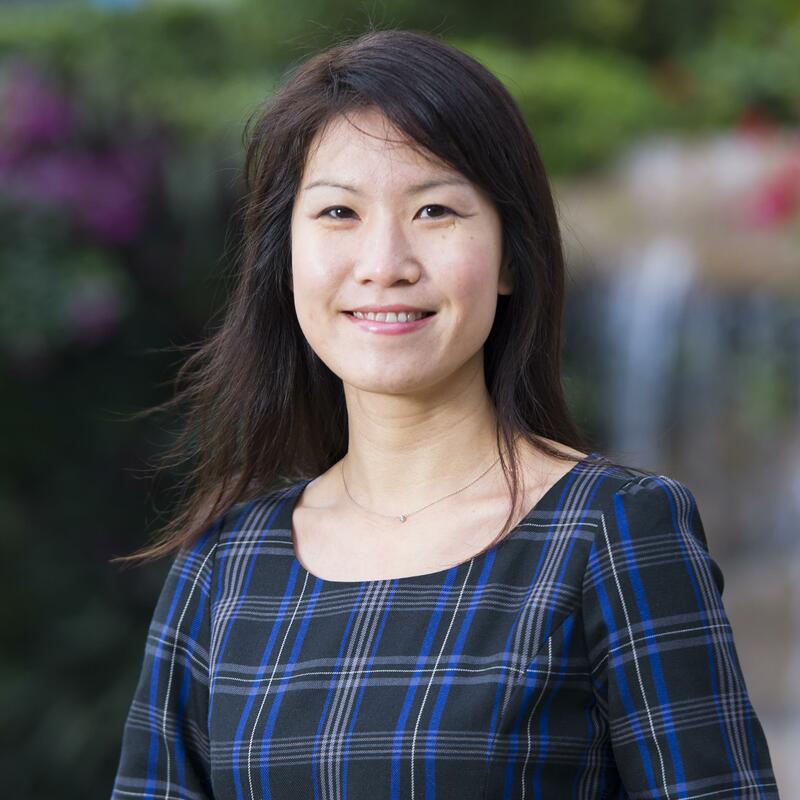 Integrated Elderly Care: Database on Adult Development and Aging, PRVT Fund, City University of Hong Kong, May 2018 - Oct 2019, Dannii Yeung (PI). Reading environmental information: A behavioral insight eye-tracking laboratory experiment with CityU stakeholders, Campus Substainability Project, City University of Hong Kong, Jul 2017 - Jun 2018, Richard Walker (PI). Intergenerational Conflict at Work: The Role of Visual Attention in Affective and Behavioral Reactions to Conflict Situations, General Research Fund , Research Grant Council, Dec 2016 - Feb 2019, Dannii Yeung (PI), Derek Isaacowitz (Co-I), & Jiawen Ye (Co-I). Age Differences in Gaze When Experiencing Workplace Conflicts, Strategic Research Grant, City University of Hong Kong, Sep 2015 - Aug 2017, Dannii Yeung (PI), Derek Isaacowitz (Co-I) & Jiawen Ye (Co-I). A Longitudinal Examination of Adjustment to Retirement: The Role of Retirement Resources, General Research Fund, Research Grants Council, 2014 - 2016, Dannii Yeung (PI). Aging and Work: Do Older Employees Prefer Other Ways to Handle Conflict in the Workplace?, General Research Fund, Research Grants Council, 2011 - 2014, Dannii Yeung (PI), Helene Fung (Co-I), & Darius Chan (Co-I). Ho, H.C.Y. & Yeung, D.Y. (2019). Effects of social identity salience on motivational orientation and conflict strategies in intergenerational conflict. International Journal of Psychology. 54. 108 - 116 (http://dx.doi.org/10.1002/ijop.12435). Yeung, D.Y. , Kwok, S.Y.C. & Chung, A. (2013). Institutional peer support mediates the impact of physical declines on depressive symptoms of nursing home residents. Journal of Advanced Nursing. 69. 875 - 885. Yeung, D.Y. , Fung, H.H. & Kam, C. (2012). Age differences in problem solving strategies: The mediating role of future time perspective. Personality and Individual Differences. 53. 38 - 43. Yeung, D.Y. & Fung, H.H. (2012). Impacts of suppression on emotional responses and performance outcomes: An experience sampling study in younger and older workers. Journal of Gerontology: Psychological Sciences. 67. 666 - 676. Zhang, X. , Yeung, D.Y. , Fung, H.H. & Lang, F.R. (2011). Changes in peripheral social partners and loneliness over time: The moderating role of interdependence. Psychology and Aging. 26. 823 - 829. Kwok, S.Y.C.L. , Yeung, D.Y. & Chung, A. (2011). The moderating role of perceived social support on the relationship between physical functional impairment and depressive symptoms among Chinese nursing home elderly in Hong Kong. The Scientific World Journal: Child Health & Human Development. 11. 1017 - 1026. Yeung, D.Y. & Fung, H.H. (2009). Aging and work: How do SOC strategies contribute to job performance across adulthood?. Psychology and Aging. 24. 927 - 940. Fung, H.H. , Yeung, D.Y. , Li, K.K. & Lang, F.R. (2009). Benefits of negative social exchanges for emotional closeness. Journal of Gerontology: Psychological Sciences. 64B. 612 - 621. Fung, H.H. , Stoeber, F.S. , Yeung, D.Y. & Lang, F.R. (2008). Cultural specificity of socioemotional selectivity: Age differences in social network composition among Germans and Hong Kong Chinese. Journal of Gerontology: Psychological Sciences. 63B. 156 - 164. Yeung, D.Y. , Fung, H.H. & Lang, F.R. (2008). Self-construal moderates age differences in social network characteristics. Psychology and Aging. 23. 222 - 226. Yeung, D.Y. & Fung, H.H. (2007). Age differences in emotional responses and coping toward SARS: A longitudinal study of Hong Kong Chinese. Aging & Mental Health. 11. 579 - 587. Yeung, D.Y. , Fung, H.H. & Lang, F.R. (2007). Gender differences in social network characteristics and psychological well-being among Hong Kong Chinese: The role of future time perspective and adherence to Renqing. Aging & Mental Health. 11. 45 - 56. Tsai, J.L. , Miao, F.F. , Seppala, E. , Fung, H.H. & Yeung, D.Y. (2007). Influence and adjustment goals: Sources of cultural differences in ideal affect. Journal of Personality and Social Psychology. 92. 1102 - 1117. Yeung, D. Y. (2017). Aging and psychological well-being. N. A. Pachana (Ed. ), Encyclopedia of Geropsychology. (pp. 196 - 201). Singapore. Springer. 978-981-287-081-0. Yeung, D. Y. & Ho, H. C. Y. (2017). Conflict management and aging in the workplace. N. A. Pachana (Ed. ), Encyclopedia of Geropsychology. (pp. 516 - 602). Singapore. Springer. 978-981-287-081-0. Yeung, D.Y. & Ho, H.C.Y. (2015). Psychological adaption of older workers: Findings from the Western and Eastern countries. S.-T. Cheng, I. Chi, H.H. Fung, L.W. Li, & J. Woo (Eds. ), Successful aging: Asian perspectives. (pp. 301 - 319). New York. Springer. Wong, S. & Yeung, D.Y. (2013). Exploring the meaning of pride and shame in Hong Kong-Chinese. J. J. R. Fontaine, K. R. Scherer, & C. Soriano (Eds. ), Components of emotional meaning: A sourcebook. (pp. 482 - 485). UK. Oxford University Press. Fung, H.H. , Ching, B.H.H. & Yeung, D.Y. (2007). Age differences in emotional regulation: Findings from Western and Eastern cultures. O. Randall (Ed. ), Aging and the elderly: Psychology, sociology, and health. (pp. 63 - 88). New York. Nova Science Publishers. Jan 2018 - Now, Editorial Board Member, Psychology and Aging. Feb 2017 - Now, Editorial Board Member, GeroPsych. Apr 2014 - Now, Associate Editor, Psychology, Psychiatry and Quality of Life Section, BMC Geriatrics. Jul 2017 - Jun 2018, Departmental Research Committee, Deputy Chair. Jul 2017 - Now, Psychology Discipline, Discpline Leader. Jul 2015 - Jun 2017, Bachelor of Social Sciences in Psychology (BSSPSY), Major Leader. Sep 2014 - Aug 2018, CLASS College Human Subjects Ethics Sub-Committee, Deputy Chair. Sep 2018 - Now, PhD supervision (Alvin C. H. Lam). Sep 2018 - Now, PhD supervision (Edwin K. H. Chung). Sep 2016 - Now, PhD Supervision (Xiaoyu ZHOU). Aug 2011 - Aug 2014, PhD Supervision (Henry C. Y. HO). 2011 - Now, Psychology of Ageing. 2009 - Now, Developmental Psychology. 2009 - Now, Personality and Individual Differences. 2008 - Now, Cognitive Psychology. 2008 - 2017, Perception and Cognition. 2008 - Now, Psychology Research Paper. 2008 - Now, Research Project in Psychology. For students who are interested in joining my projects as student volunteers, please contact me by email, together with a copy of your CV.